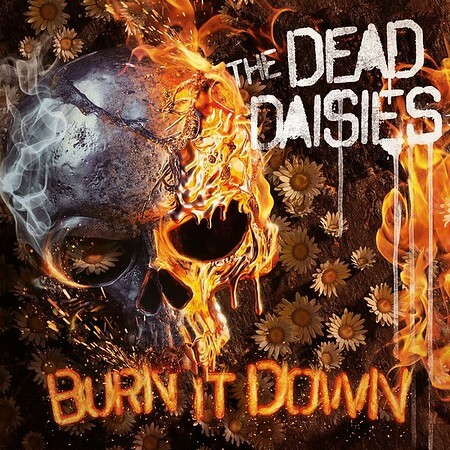 When I recorded an interview with Marco Mendoza on 3rd January he accidently let slip the name of the new album from The Dead Daisies and we had to bleep it out when the Show was uploaded – http://www.rockradioni.co.uk/interviews/3279-ni-rocks-interview-with-marco-mendoza.html . This week the band have officially announced that the album will be entitled “Burn It Down” and that it will released via Spitfire Music/ SPV on 6th April 2018. The new album will be the first to feature drummer Deen Castronovo of Bad English / Journey fame. Tour dates have also been announced, but unfortunately they don’t include Belfast or Dublin. However, Marco Mendoza does play a gig in Voodoo, Belfast on 18th February with support coming from the Pat McManus Band. With Deen joining the bands line-up to record the new Album, The Dead Daisies are: Doug Aldrich(Whitesnake, Dio), John Corabi (Mötley Crüe, The Scream), Marco Mendoza (Whitesnake, Thin Lizzy), Deen Castronovo (Bad English, Journey) and David Lowy (Red Phoenix, Mink).